Criminal cases, which involve a defendant who is accused of a crime. The plaintiff in these cases is the state, that is, a local, state, or federal authority or special jurisdiction which is bringing the lawsuit on behalf of the people. Civil cases, which are lawsuits brought by one party against another. Civil cases include small claims court, debt cases, and general business lawsuits. The defendant does not have to prove his or her case; that is the responsibility of the plaintiff. 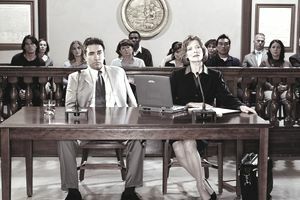 The plaintiff in most cases has the burden of proof; the plaintiff brings the case to court and must provide enough evidence to have the case heard and to allow it to proceed. The term "defendant" is used in both civil and criminal lawsuits. In an arbitration, the defendant is called a respondent, because he/she is responding to the claims of the claimant. An exception to the custom of having a defendant and a plaintiff for each court case is bankruptcy court. In this court, there is no plaintiff or defendant. The parties to the case are the debtor (the person filing bankruptcy), the creditors (the parties filing claims against the debtor), and the bankruptcy trustee. If you are sued, you become a defendant. The first thing that happens is that you are served with a complaint or a petition (depending on the type of case). This document is served by an officer of the court (a sheriff's deputy, for example). Sometimes the document requires you to appear in court. This would happen in a small claims court case. In other types of lawsuits (a divorce case, for example), you would have to file a document in response. The first thing you must do is to reply to this document within the required amount of time (30 days, for example). If you don't respond within the required time period, the plaintiff has the right to file for a judgment against you. Basically, you can lose the case by default if you don't respond. In a civil lawsuit - one person against another - the plaintiff and defendant typically each get an attorney and the case proceeds after both parties have received notice. If you are the defendant in a small claims case, you don't need an attorney. Prepare thoroughly and show up on the appointed date with all the records you can find to defend your case.